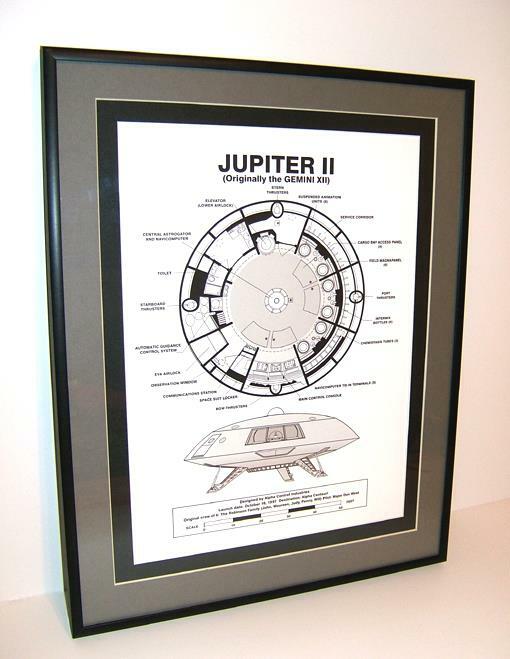 A beautiful framed Jupiter-2 schematic drawing. This is NOT a scan simply printed out. This has been professionally drawn line for line in a high-end graphic program (Corel), colored and printed out on quality heavy stock paper using a Xerox Techtronics printer. It has also been professionally double matted (nice charcoal and black to contrast the light gray hull) and framed (high quality black aluminum) with glass and is a manageable 11" X 14", perfect for a den, office or even a bedroom. Price is $69.95 anywhere in the USA. Internationl is also available, please contact me first.